After sailing past the island of San Giorgio Maggiore, the Public Gardens, the tip of Sant’Elena and the lido famous beach resort, the boat arrives at Murano, known throughout the world for its glass manufacturing industry. Here you have 40 minutes for a visit to one of the factories, and discover the magic of the glass. 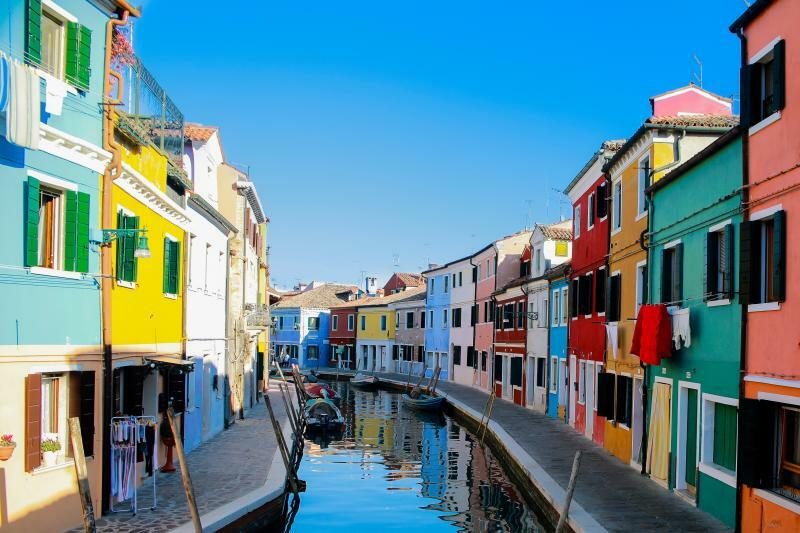 The second stop will be at the picturesque island of Burano, famous not only for its lace but also for the fishermen's houses painted in bright colours. The stop will last about 30 minutes. After a short sail, you will reach Torcello, the earliest centre of civilization in the lagoon. Only the Cathedral with its magnificent mosaics and the church of Santa Fosca remains as the testimony of its former glory. This stop lasts about 30 minutes. Then the boat will make its way back to St. Mark’s Square.